President Donald Trump will meet his Russian counterpart Vladimir Putin next week at the G20 summit in Germany. Senior White House officials declined to say whether Mr Trump would address Russian interference in the 2016 US election. H.R. McMaster, the national security adviser, said the agenda for the high stakes meeting had not been finalised. He said the US relationship with Russia "really isn't different" from that with other countries. Mr Trump will address with Mr Putin what he called "irritants" and also areas on which the two countries can work together, he said. Mr McMaster said the meeting with Mr Putin is among several scheduled for when Mr Trump is in Hamburg for the summit. He added that the substance of the meeting with Mr Putin would be "really whatever the president wants to talk about". Mr McMaster said a general aim would be to forge a "more constructive" relationship with Russia and "deterring conflict" while also confronting Russia's "destabilising behaviour"
The first encounter between the two men has been eagerly anticipated for months. Mr Trump's administration is still struggling to know how to deal with Robert Mueller's investigation into Russian interference in the 2016 election, and the president bristles at suggestions that Mr Putin helped his candidacy. Democrats point out that Mr Trump lashes out at everyone except the Russian leader, and has only grudgingly accepted the view of 16 different intelligence agencies that Moscow orchestrated hacking of the Democratic National Committee during the election. 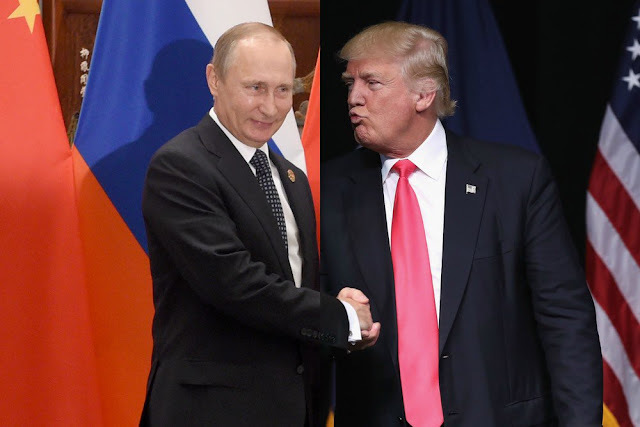 Mr Trump has expressed his admiration for the Russian leader, describing him as more effective than Barack Obama. Meanwhile Moscow said Mr Putin received former US Secretary of State Henry Kissinger in the Kremlin on Thursday. It did not elaborate on what the two men discussed, saying only that Mr Kissinger was in Russia for the Primakov Readings, an annual forum of experts, diplomats and politicians.